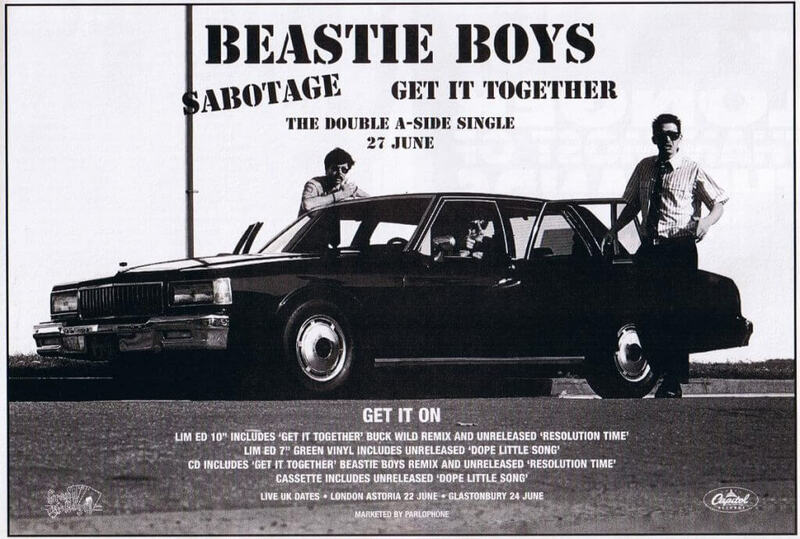 “Sabotage” is a 1994 song by the Beastie Boys, released as the first single from their fourth studio album Ill Communication. The song features traditional rock instrumentation (Ad-Rock on guitar, MCA on bass, and Mike D on drums), turntable scratches and heavily distorted bass guitar riffs. A moderate commercial success, the song was notable as well for its video, directed by Spike Jonze and nominated in five categories at the 1994 MTV Music Video Awards.